The article notes that each year, 50,000 Americans die of a traumatic brain injury and 235,000 are hospitalized. There really aren’t good statistics to tell us the prevalence of work-related brain injuries. Although there are better statistics available for what Rousmaniere calls “the signature wound of today’s wars,” many think that the estimate of 320,000 war-related traumatic brain injuries may be on the low side. As with all successful brain injury recoveries, job coaching is a critical phase that demands employer participation. Rehab counselors often make the trip with the worker back to her or his workplace. Memory failure, a signature feature of brain injury, is sometimes best treated, in part, at the physical site of the employer. So for several months, the vocational specialist helps the worker find ways to organize the day, reinforce memory and work with others. In this way, the patient’s prospects for recovery are greatly improved. Rousmaniere discusses the prevalence of war-related TBI and some of the promising medical advances. He cites the recovery of reporter Bob Woodruff, perhaps one of the cases that we are all most familiar with due to the news coverage. After returning to his job as a reporter, Woodruff became an advocate for our soldiers in the field, developing a ReMIND, a foundation to provide resources and support to injured service members, veterans and their families. In speaking of his own recovery, Woodruff praised the quality of the care and support that he received, but saw with dismay that such treatment and recovery resources were not always available to service members with similar injuries. He saw the military culture as often stigmatizing or impeding screenings, and treatment options being limited once a vet returned home. That’s why the Department of Defense’s recent policy announcement is such welcome news: head-injury evaluations will be mandatory for all troops who suffer possible concussions. Moving to an incident-based response is a significant change from prior protocol, which depended on service members to self-identify with a complaint. The weakness in this approach is that service members are highly mission-focused and can shrug off complaints that can later prove to be serious problems. America’s Heroes at Work is a U.S. Department of Labor project that addresses the employment challenges of returning service members living with Traumatic Brain Injury (TBI) and/or Post-Traumatic Stress Disorder (PTSD). The resources and links pages are particularly helpful – and a good resource for employers who are working with either vets or non-vets who are recovering from TBIs. Debbie Dragon or Wise Bread hosts this week’s Cavalcade of Risk, which she dubs the “the How Much Assurance Does Your Insurance Offer edition.” As usual, a good source of some of the best biweekly risk-related posts in the blogosphere! OSHA – frequent citations – OSHA recently announced its Top 10 Enforcement Citations. For a more generic, non-company specific view, see the top 10 lists for the most frequently cited standards and the standards with the highest penalties. To narrow down to information to an industry SIC code, a state, or a size of employer, see the interactive frequently cited OSHA standards page. Chronic illness – This week, Roberto Ceniceros has featured a pair of posts related to chronic illness on his Comp Time blog. The first highlights a research report from the Integrated Benefits Institute in which nine in ten workers reported one or more chronic health problems. The report is based on 27,000 employee surveys. In his second post, Ceniceros explores the issue of wellness programs as they relate to chronic illness and workers comp. He makes the point that an increasing number of employees may be getting better health care attention after reporting a comp injury, but that is likely true mostly for employees of large, sophisticated employers. Related to this issue, Peter Rousmaniere writes about “the elephant in the room” in his column in Risk and Insurance, noting that co-morbidities — such as obesity, depression, diabetes, sexual trauma, smoking, and drug addiction — derail the recovery of injured workers and pose challenges for claims adjusters and case managers. He makes the point that the the workers’ compensation courts are more inclined today to rule that insurers “own” the comorbidity that impedes recovery, as evidenced by the recent weight-loss surgery rulings. Long road to recovery – the Pocono Record features the story of John Capanna’s long, slow recovery from a severe industrial injury. John was severely burned and disfigured in a flash explosion at an oil refinery some 30 years ago. It’s a story of courage and strength. Thanks to SafetynewsAlert for pointing us to this story. Ferreting out fraud through social networking – Attorney Molly DiBianca discusses risks entailed in using Facebook to investigate employee fraud, suggesting guidelines to ensure employer protection. Who is the authorized employee for Lockout/Tagout? Serious workplace injuries often turn spouses into caregivers. So the question becomes, are their services compensable under workers comp? As is so often the case, it depends upon where you live. The Supreme Court of Arizona recently decided a case in the spouse’s favor (Sabino Carbajal v.Industrial Commission of Arizona). In 1999, Sabino, working for Phelps Dodge, suffered a serious injury, resulting in cognitive problems and partial paralysis on his right side. He required full-time supervision and intermittent attendant assistance. The carrier paid for nursing aides during daylight hours. At all other times, Sabino’s wife took charge of his care: this included giving him his medication in the morning; specially preparing his food; cleaning him when he was returned from day care soiled; and moving him between his wheelchair and his bed, the toilet, or his recliner. In their deliberations, the Arizona Supremes examined practices in two other states. They looked first at Virginia, where the courts have denied reimbursement to spouses for home health care services (Warren Trucking v. Chandler, 277 S.E.2d 488). In Warren, the claimant’s wife helped him bathe, shave, and put on braces, and she prepared his meals, drove the car, and maintained the household. When the claimant lost consciousness, his wife revived him. The Virginia court concluded that under the statute, to qualify as compensable “medical attention,” the spouse’s care must, among other requirements, be “performed under the direction and control of a physician” and be “the type [of care] usually rendered only by trained attendants and beyond the scope of normal household duties.” The court rejected the spouse’s claim because the care rendered by the wife was not prescribed by a doctor and was not “of the type usually rendered only by trained attendants.” I suppose that when the wife revived her husband, she was just acting as a good samaritan. 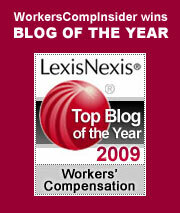 NOTE: Workers in Virginia may well wonder whom the comp statute is designed to protect. We recently blogged an absurd provision of the law which precludes payment to brain injured employees who have the misfortune of surviving catastrophic injuries. Virginia seems to go out of its way to construct “rigid frameworks” that preclude compensation for the families of seriously injured workers. The Arizona court restated the aim of workers comp: rather than pushing the notion of spousal duty deep into the area of custodial care, the court “places the burden of injury and death upon industry.” The Arizona court overturned rulings at the commission and Appeals court levels. They found that Mrs. Carbajal routinely performed work that others were paid to perform and that these duties were necessitated by workplace injury. Therefore, she is entitled to reimbursement. It will be interesting to see how the comp commission comes up with a dollar value for her services: will she be reimbursed for “time on task” or is she “on call” and working whenever other paid help is not available? When workers suffer catastrophic injuries, their families suffer loss beyond measure. The quality of life changes for everyone, not just the injured worker. If the question is “to pay or not to pay” for the onerous burdens placed on spouses, the answer, in Arizona and Vermont at least, is to pay.